"And we're back! 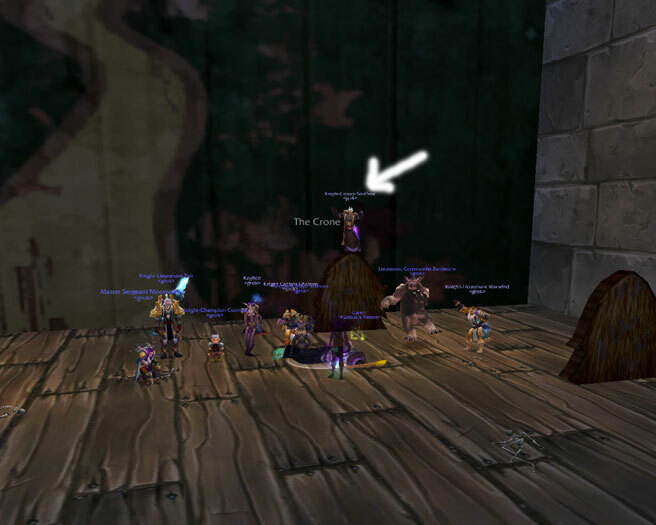 For those of you who have just tuned in, we're here with Soulfrost, puppet master of Azeroth. "Before the break, you mentioned something about taking in the theatre. Are you gay?" "So, anyway. One of the Ushers said "You'll be joining the other guests shortly." and I was all "Oh, cool!" except that really, he meant he was going to kill us. The other guests were all ghosts, you see. It was dreadfully clever, but I have no idea why those ushers hated us so much. "Perhaps because you're the ones who killed most of the guests in the first place?" "I suppose that might have something to do with it. Anyway, we decided to take a look backstage, and the stagehands got a little angry about that, so they tried to kill us. And then we killed a bunch of actors too, because they were reciting terrible poetry. For some reason, when you kill actors, they explode. "...yeah. The weirdest part was, we killed everyone working on the production, and then the stage manager threw us on stage to act in the play? I'll never understand that, as long as I live." "Wait...so you acted in the play?" "Well, sort of. The stage manager introduced the play, and the curtain went up, and there was a scarecrow and a guy made of metal and a lion man and a hot girl. Then they started attacking us, so we killed them, too. "I'm noticing a pattern developing here..."
"Yeah, and the audience applauded, and we all took a bow, but inside I was thinking 'This isn't a performance. We really killed these people.' You know?" "Don't tell me you have a guilty conscience." "No, it was totally awesome. It was just weird that they thought it was all acted, and that the stage manager put us into that thinking we'd get killed. I'm going to have to have a talk with him." "You're not going to kill him, too, are you?" "Are you kidding? I had the time of my life! I even took a picture of it. Here, take a look!" "That's me, standing up on the hay bale, flexing my mighty man muscles. Around me you can see my subordinates. One of them is apparently a dancing bear...I don't remember that, strange. And, as you can see, on the far left a great Paladin is pointing up at me, gazing in awe." "Outstanding. Soulfrost, I'm afraid that's all the time we have for you today. Any last comments before we go?" "Just one question, actually. Did you and Arthas ever, y'know, hook up? "Wait, so, like, before or after he became a death knight?"